Members are needed to help implement strategic plan objectives. A forefather of Landscape Ontario, Clarence Beuving recently offered some concerns and advice for future success. Recently, I received a call from Clarence Beuving from Orchard Park Landscaping, asking to meet with me. Clarence had some concerns about Landscape Ontario and wanted to relay them to me. 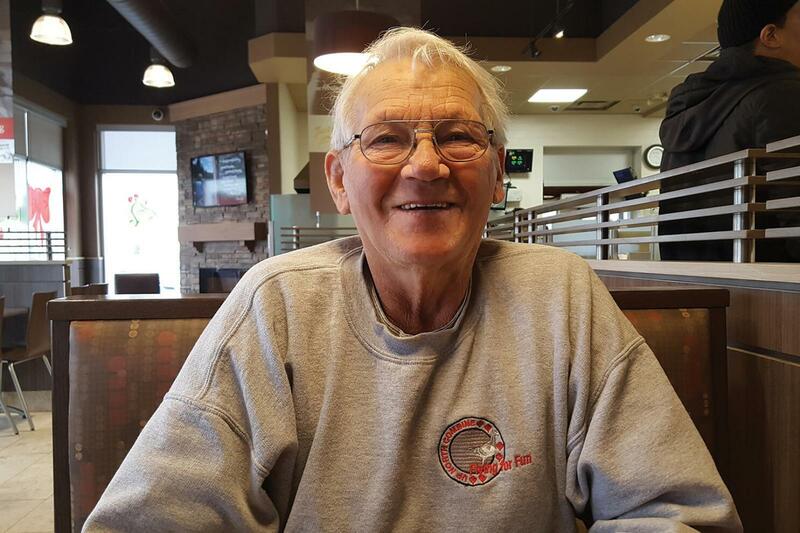 Over coffee at a Tim Horton’s near his office in Gormley, Ont., Clarence and I had a wonderful discussion about the history of Landscape Ontario and his observations over a lifetime of membership in the association. I learned a lot that morning. It turns out that Clarence was one of the original 11 members who started the Ontario Grounds Maintenance and Landscape Association (OGMLA), that eventually united with the Ontario Landscape Contractors Association (OLCA) and Ontario Nurserymen’s Association (ONA), to form Landscape Ontario Horticultural Trades Association back in 1973. It dawned on me that if that small group had not decided to get together decades ago, there would be no Landscape Ontario. In an indirect way, they were responsible for my career. It is remarkable and profound how actions in the past affect the present and the future. Our actions today will have the same effect. We have the privilege of enhancing the lives of those in the future whom we have never (and sometimes may never) even meet. Back to Clarence… His main concern was that Landscape Ontario should not lose sight of the smaller member companies when developing future events and activities. Many LO members might not have the resources to leave their businesses for an entire day to attend a local golf tournament or educational event. Clarence wanted to make sure that in our growth from 11 members to over 2,700 companies, we not forget the founding principles of inclusivity, service and accessibility. He urged us to make sure we develop programs and benefits that smaller members can also participate in. I appreciated Clarence’s advice and comments. After all, over 70 percent of our members employ fewer than 10 people. I also enjoyed listening to Clarence’s stories of the pioneer days. His sense of ownership in Landscape Ontario, and his care for the collective voice, was inspiring. It underscored something I have observed again and again over the past 29 years. Although changes have been immense since those 11 people got together nearly a half-century ago, what should not change are the core values that reflect our culture. At a recent strategic plan meeting, we defined the association’s core values. They are the same as our pioneers. We are a community that collaborates and shares. We create a safe place for the exchange of mutually-beneficial information. We believe in professionalism. We constantly raise the bar, through education and professional development activities. We strive to attract members who are trustworthy, honest and who reflect integrity by who they are and what they do. We are environmental and economic stewards. Our members take responsibility for creating a community that nurtures the growth of our profession. Our members contribute and they care. Speaking about members who care, the LO Provincial Board of Directors recently approved additional resources to grow the Landscape Ontario Peer to Peer Network. At its heart, the group is a community for mutual benefit and improvement. If you have not already joined, please send me an email to be added to our online sharing community. It is a great way to help grow your business in the company of caring and nurturing professionals. It is also no surprise that the LO Peer to Peer Network has attracted three amazing sponsors. These three companies believe in enhancing the lives of their customers. Our “prosperity partners” are: Greenius, LMN and Dynascape. Thank you for your support and for all that you do to advance the profession. I am extremely proud of these three companies. Even though they are Ontario-based, they have expanded their reach across North America and beyond. In addition, they care about changing the face of the landscape profession. They are making a huge difference in the lives of their customers and the industry. Thank you for your sponsorship.